Looking for a taste of Provence on your next river cruise? Try the Rhône and Saône rivers in France. Home to some of the best wine-producing areas in Europe, the Rhône and Saône also are graced the beauty of Provence, multiple UNESCO World Heritage Sites and historic cities like Lyon, Avignon and Arles. A few things that we appreciate most bout Rhône river cruises. Provencal and Bourgogne Beauty. Rhône River cruises typically sail between Lyon and Avignon or Arles, taking in the gorgeous landscapes of Burgundy and Provence. Pont du Gard. The iconic bridge crossing the Gardon River is one of the best-preserved legacies of ancient Roman architecture in France. Bicycling. 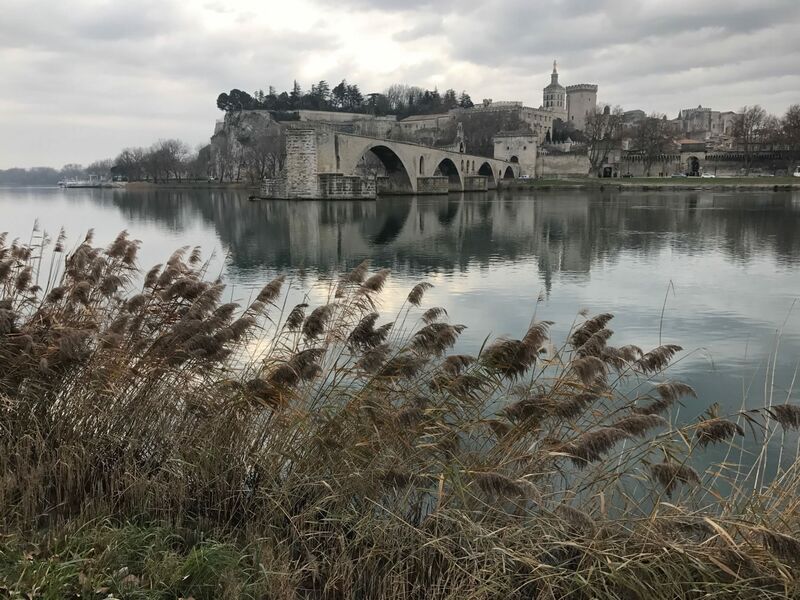 We’ve enjoyed cycling along the Rhône and Saône rivers though the wine-producing region of Beaujolais and along the Île de la Barthelasse across from the city of Avignon. Arles. Perhaps best-known for its incredible Roman monuments and the fact that the impressionist painter Vincent Van Gogh lived here from 1888 to 1889. Wonderful Wines. Rhône River cruises typically visit the wine-producing regions of Beaujolais and Chateauneuf du Pape. UNESCO World Heritage Sites, such as the Pope’s Palace in Avignon and Pont du Gard. Check out our video featuring experiences ashore on Rhône/Saône river cruises. Many cruise lines will tack on a few days of exploration in Paris, while a few venture down to the Cote d’Azur to include evenings in either Nice, Villefranche or even a post-cruise stay in Barcelona, Spain. The big players here are AmaWaterways, CroisiEurope, Emerald Waterways, Scenic, Tauck, Uniworld, and Viking River Cruises. In the accompanying table, we extrapolate the data to arrive at true per diems once all incentives and inclusions are factored in to the base prices. Air incentives and other special, limited-time offers can help reduce the overall per diem substantially. Some of these offers, like Scenic’s “Up to Fly for Free” offer, may only apply on certain departure dates, sailings and months. We noticed that, when you dig deeper into Scenic’s offer, air on the particular sailing we selected for this chart was offered for $995 for economy class, and $1,395 for Premium Economy. 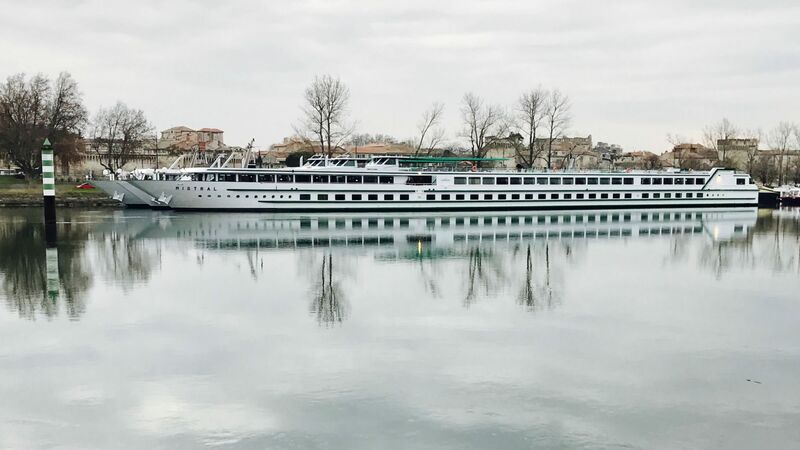 Prices for 2018 Rhône/Saône river cruises are on par with what you might pay on the Seine. Comparative summer 2018 pricing for river cruises sailing the Rhone/Saone Rivers. We looked for staterooms of equivalent size and features, namely those with French balconies or step-out balconies. Prices were obtained from cruise company websites and may not reflect current incentives. Additional charges were estimated in some cases, such as for laundry and beverages, and obtained from the cruise company websites. * Emerald Waterways and Viking River Cruises include at least one shore excursion in each port of call, with optional excursions for a fee. ** To calculate the value of included roundtrip economy air, we used Viking's $1,595 per person published rate from select gateways in North America. ^The majority of Tauck's June 2018 Rhone/Saone departures have limited availability and are nearly sold out; a July departure has been selected instead. ^^ On its website, Scenic only offers Rhone/Saone departures in May and September of 2018; May itineraries are almost completely sold out as of this writing. ^^^Riviera offers beverage packages starting at $129 per person for most weeklong voyages that adds beer, wine and soft drinks with lunch and dinner. Beverages purchased outside of mealtimes are still billed separately, so we've added $80 ($10 per day) to our valuation for beverages to bring it alongside with lines like AmaWaterways and Viking, which offer complimentary beer, wine and soft drinks with lunch and dinner. For non-drinkers, however, this total can be subtracted from the True Per Diem amount.